We had the opportunity to review the Phonics Museum App by Veritas Press. I came to learn about Veritas Press through its Classical Christian Education history curriculum. The online video courses are fun to watch, engaging and educational. Well, Veritas Press has curriculum for other areas of study including phonics. 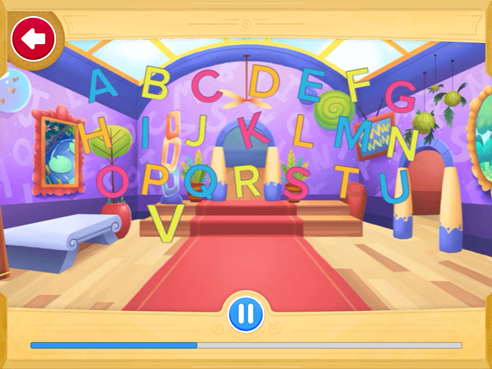 We had the opportunity to review the Phonics Museum App from Veritas Press. I have three children and that means having to teach three children how to read. The process went smoothly with my older two and, so far, it has been going well with my youngest. Reading is fun. Two of my desires when I started to teach my children how to read was for them to have fun and love the experience of reading. The goals of the Phonics Museum program – “learning to read and enjoying the process” – are similar to mine. If you will have a new reader or even a child who is an early reader, those may be some of your goals too. Veritas offers the Phonics Museum Combo Kit to get your child off to a great reading start and recently released the new compliment app, the Phonics Museum App, which is a complete reading app program. The new Phonics Museum App is available through the App Store and is easy to download. Downloading apps use to be a challenge for me. Although I am better at it, I let River download it for me. Once that was done, Canyon was able to use the app. The app includes not only phonetic instruction, but also has activities in the areas of reading, history and penmanship presented in a multi-sensory approach. 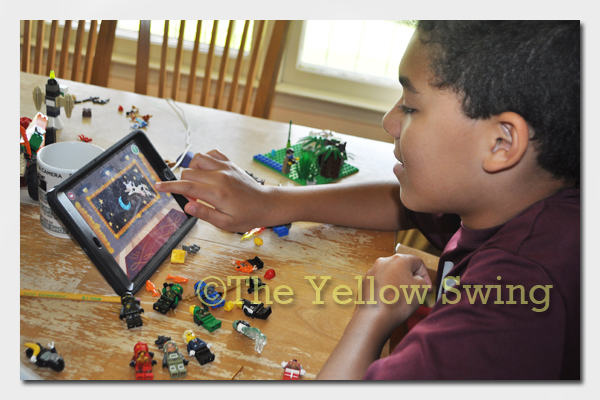 Canyon used the app before beginning his school day. It was more as a motivational jump start to getting into the learning mode. Returning to school after a summer break has been a bit slow. Having this fun resource added a little bit of fun and a no pressure intro to the day. There are engaging activities for children to complete. The lessons are presented in a similar fashion to the Veritas history lessons. 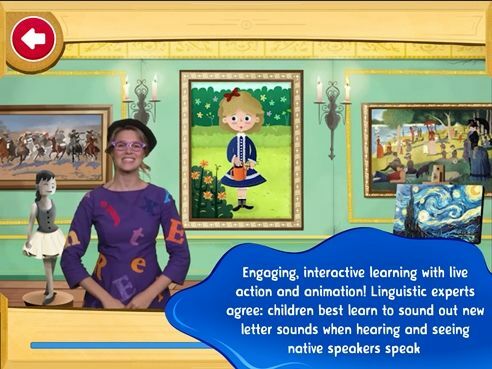 There is a real live and animated person (Ms. Biddle) and Percival (animated) who promote the interactivity of the lessons as children travel through the Phonics Museum. There are fun songs to sing, like the Museum Alphabet song, which presents pictures of different words that begin with the letters. Children learn the different phonetic sounds along with the different written and printed representation of the letter. 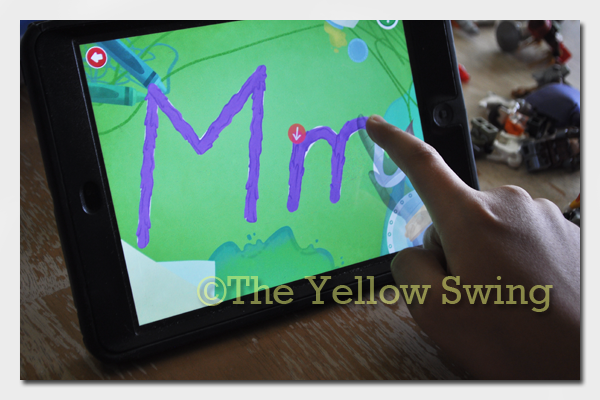 There are even activities that allow the child to write the lower and uppercase letters by tracing on the screen. That will help a child to become even more familiar with the letters and how they should appear when they begin writing on paper. They will know the rhythm of the letter strokes. Users also learn some history about people like Johannes Gutenberg (printing press), Michelangelo, Leonardo DaVinci and King Tut who became a king at the age of nine. Although the history is not in depth, the students are learning more than just phonics. More than likely, they will hear those names again in their studies and will already be familiar with them. When children make the correct selection, characters dance, stars appear – they are incentives to motivate a young child. For parents, they receive e-mail progress reports of the learning their child is doing. I am not sure if it was our device or not, but we had occasional glitches and had to exit the app and then access it again to get some of the activities to work. The Phonics Museum App states your child “can learn to read early reader books in four weeks.” That may be true and after seeing how the app works, I think that is possible. Canyon is already past the level of the app, which I think is geared towards preschoolers (age three) through seven years old. If you have a struggling reader, they may also benefit from the Phonics Museum App. I still prefer the use of books (literature) for teaching a child how to read. Using a computer or iPad (any electronic device) for teaching reading has still not caught on with me. I do know they are great tools for promoting learning, because some children learn well through a multi-sensory approach. I do like the Phonics Museum App and would use it for a child who was learning how to read. This app from Veritas Press is fun and more appealing to me, because of all of the learning experiences it introduces to children. I also like the inclusion of art appreciation. The activities that are included make a great kick-start in the reading process. The Phonics Museum App membership is $9.99 per month or $99 annually, and each account may have up to three children.